Paperback, 8 x 8 in. / 304 pgs / 300 color. "Urgent questions about the role and responsibility of architects have been circulating since the Indian Ocean tsunami killed more than 200,000 people in 2004. At that time the relief effort exposed troubling gaps between humanitarian aid that targets the short term and our ability to rebuild homes, infrastructure, and communities well. While aid agencies are willing, they do not have an architect�fs knowledge or insights; consequently, the buildings that replace destroyed communities are frequently unsafe. Unfortunately, this is as true today as it was seven years ago. However corrupt or appalling the politics (and policies) behind the catastrophes in Sichuan and Haiti, professional architects—whether in the developing or developed world— are notably absent from efforts to protect people from disaster. Yet architects have recently been very active in other areas of public interest—for example, they have instigated a range of creative strategies to improve social, environmental, and economic equity, some of which have become books about how to alter the way we think about the design process. But in extreme circumstances, in crises, architects offer no coherent response. They play no sustained role in shaping policy and have had little active presence or voice in leading best practices in disaster prevention, mitigation, and recovery. There is still no career path that prepares students to work as urgentistes—design professionals who intervene at a crucial moment in the recovery process to produce enduring solutions. Which is precisely why this book is about the architects who are helping save lives. Innovative, fascinating work is being done by small teams of outstanding professionals in Asia, Latin America, Africa, and the United States, who are proving to be critical, relevant partners helping communities recover from disaster and rebuild. The highly skilled architects and leaders in other fields who have so generously contributed to this book are providing resilient solutions that ensure the safety of new homes and bring coherence to land-use planning. 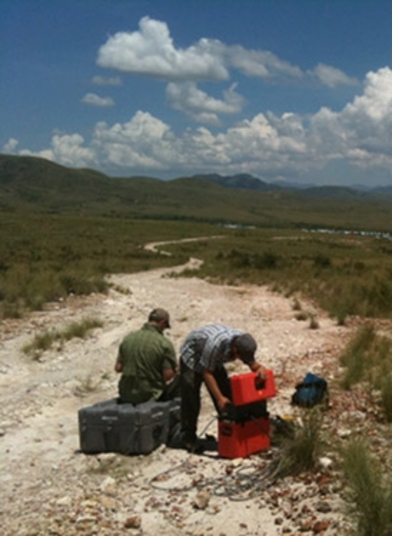 These teams assess damage but also research innovative building technologies. They are at the forefront of the use of low-cost, energy-saving, environmentally sound materials and new methods of prefabrication. 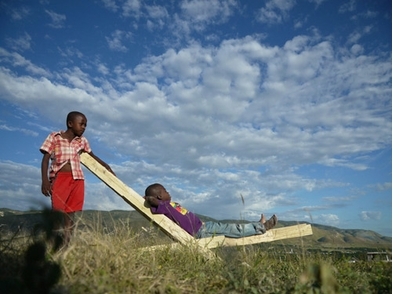 They have discovered ways to bring affordable high-tech solutions to vulnerable communities. These teams are experts in how best to bridge the gap that separates shortterm emergency needs from long-term sustainable recovery. And they are experienced in helping reduce future risk, promote awareness, and protect relief investment. Admittedly, this level of expertise is rare, concentrated in the hands of far too few professionals working worldwide. Beyond Shelter is a call to action. When I started writing this book and searched for practicing architects skilled at working with risk almost everyone asked me the same question: why architects? As if to say, what is it to us? At the conference Risques Majeurs 2008 (Major Risks 2008) sponsored by the European Union, two or three architects were present. The officials and ministers I spoke with reminded me that on average architects contribute to only 3 percent of the world�fs built environment. Their indifference—or worse, irrelevance—to the world�fs most vulnerable communities made them seem hardly worth talking about. Three percent is a terrible number. But if not architects and planners, who is in charge of rebuilding towns and villages leveled by earthquakes and cyclones? The answer is disquieting: no one is in charge. Typically, a patchwork of nongovernmental charities, government agencies, and residents themselves cobble together solutions. In large-scale disasters, even when aid pours in, the expertise and planning infrastructure needed to make best use of the money are lacking." Edited by Marie J. Aquilino. Text by Sheikh Ahsan Ahmed, Zahid Amin, Marie J. Aquilino, Jennifer E. Duyne Barestein, Alfredo Brillembourg, Guillaume Chantry, Patrick Coulombel, Robin Cross, Teddy Cruz, James Dart, Rajedra and Rupal Desai, Sandra D'Urzo, Guy Fimmers, Andrea Fitrianto, Francesca Galeazzi, Deborah Gans, Mehran Gharaati, Victoria L. Harris, Rohit Jigyasu, Jenny Kivett, Hubert Klumpner, Arlene Lusterio, Andrea Nield, John Norton, Kimon Onuma, Sergio Palleroni, Raul Pantaleo, Dan Rockhill, Brittany Smith, Maggie Stephenson, Anita Van Breda, Thiruppugazh Venkatachalam, Naomi Handa Williams. 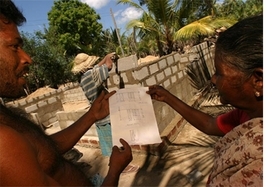 Across Africa, Asia, Latin America and the United States, groundbreaking work is being done by small teams of outstanding professionals who are helping communities to recover from disaster and rebuild, bridging the gap that separates short-term emergency needs from long-term sustainable recovery. 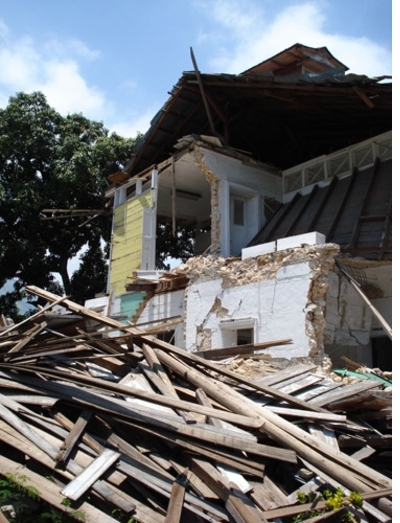 Questions about the role and responsibility of architects in disaster recovery have been circulating since the Indian Ocean tsunami killed more than 200,000 people in 2004. In the last decade, 200 million people have been affected by natural disasters and hazards. Ninety-eight percent of these victims are in the developing world, where billions of dollars in aid are absorbed annually by climatic and geologic crises. Those in the developed world are not immune, as extreme temperatures, intense heat waves, increased flooding and droughts expose vast numbers of people to the experience of the eco-refugee. Beyond Shelter is a call to action. 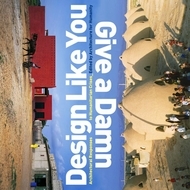 It features 20 generously illustrated reports from the field, written by the founders of some of the world's most provocative architecture and engineering firms and studios (Arup, Estudio Teddy Cruz, Urban Think Tank); accomplished nonprofits and research centers (Architectes de l'Urgence, Article 25 Development and Disaster Relief, the Institute for Sustainable Solutions at Portland State University, Development Workshop France); and leaders of such prominent organizations as the Red Cross, UN-Habitat and the World Wildlife Fund. All of these people are on the frontlines of disaster prevention and recovery, in rural and urban areas alike. 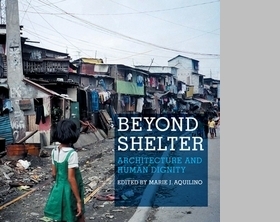 Beyond Shelter presents projects in such diverse locales as Manila, New Orleans, Gujarat, São Paulo, rural Vietnam, Kashmir, the Gola Forest in Sierra Leone, Greensburg, Kansas and the village of Soba, outside Khartoum. Together they illustrate the reality that evolving risk requires new ways of thinking, and that architects have a leading role to play. 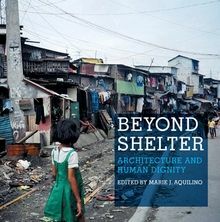 Featured photograph, by Agostino Pacciani, is reproduced from Beyond Shelter: Architecture and Human Dignity. 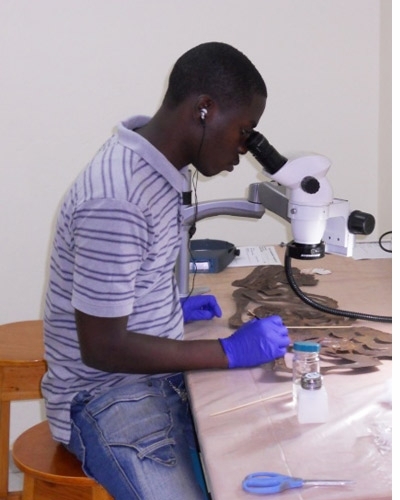 This week on the Metropolis Books site, Corine Wegener, Cultural Heritage Preservation Officer for the Smithsonian Institution, reports on the Haiti Cultural Recovery Project, ensuring that "those in need will have a heritage to return to, for themselves and for their children." Photos below are by Corine Wegener. To read the complete post, continue to the Metropolis Books site. 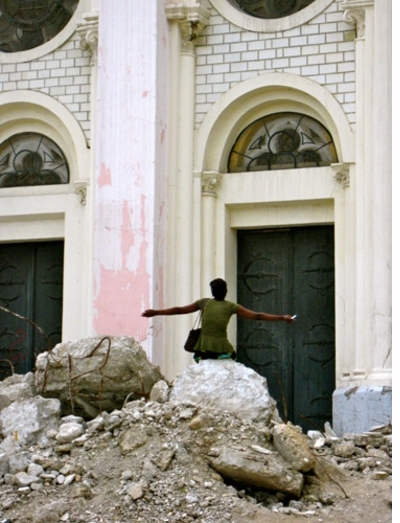 This week on the Metropolis Books site, Elke Selter, former head of UNESCO’s culture program for Haiti, reports on efforts to save Haiti’s cultural heritage in the face of overwhelming obstacles and competing priorities. All photographs, below, are by Selter. To read her story, continue to the Metropolis Books site. 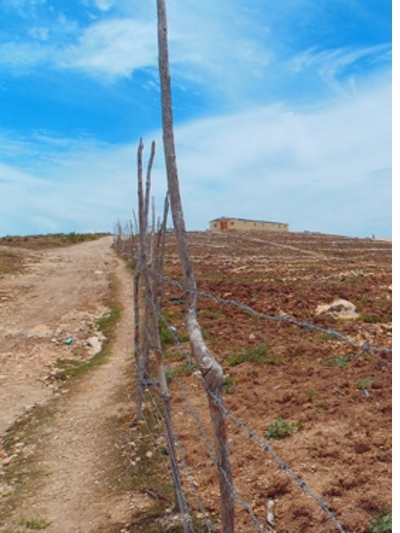 This week, Beyond Shelter author Marie Aquilino initiates a regular column for Metropolis Books, reporting on her work with the Montesinos Foundation in Titanyen, Haiti. Created by Father Charles Moise, the Montesinos Foundation is a residential school for abandoned children, Haiti’s most marginalized group. 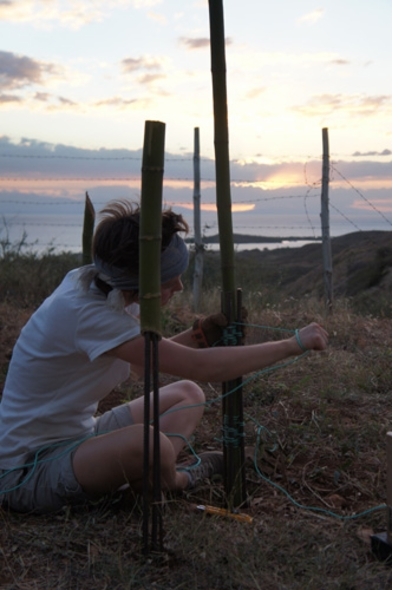 The educational program integrates a deep respect for the environment and a commitment to revive the local ecology. Please visit the BBC site to hear Aquilino speak on the importance of giving victims of natural disasters long-life homes and infrastructure. FORMAT: Pbk, 8 x 8 in. / 304 pgs / 300 color.